At a time when beer drinkers earn badges for trying new IPAs on Untappd and post pics on Instagram of the latest style craze, it’s important to remember iconic beers like Chimay that have been brewed for centuries. Who better to chat up Belgium’s most iconic Trappist ales than Luc “Bobo” Van Mechelen, Chimay’s American Brand Ambassador. 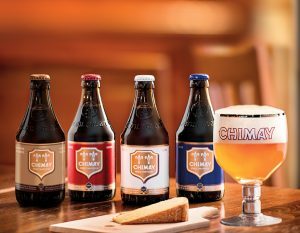 Brewed by Trappist monks since 1862 at the Abbey of Scourmont in Belgium, Chimay’s four ales routinely appear on Best World-Class Beer lists. The monks have preserved the monastic brewing tradition and inspired American craft brewers. And the profits of the beers’ sales support a myriad of charitable works. With so much history and community support riding on Chimay sales, you could almost say that Van Mechelen is doing God’s work on behalf of the monks. Draught Lines (D.L.) Who gave you the nickname, Bobo? Luc “Bobo” Van Mechelen (L.V.) I was 15 years old when three of my good buddies gave me the nickname. It was based on a cartoon character in a Franco-Belgian comic series that was popular at the time. The character was a funny guy, and I was always a little bit of a clown. When I came to the U.S. in 1979, my real name, Luc Van Mechelen, was always mispronounced, so I began telling people to call me Bobo. D.L. Why did you make the move from Belgium to America? L.V. I grew up in Leuven, Belgium, a college town right in the middle of the city, and I used to party with Americans who went to school in Brussels. After their return to the U.S. in 1978, a few of those friends established the importing company Manneken-Brussels. They wanted to import Duvel beer to America, so I helped them get an appointment with the brewery. To make a long story short, they got the rights to sell in the U.S. and soon after, I went to visit them and ended up staying. D.L. What was your first job in America? L.V. I come from a long line of restaurateurs and they convinced me to open the first Belgian bar and restaurant in Austin, Texas in 1979, called Gambrinus. I owned it for 10 years and sold it. I then went to work for a distribution company who had the rights to Pierre Celis beer. Pierre Celis is the founder of Hoegaarden. D.L. How did you become the American Brand Ambassador for Chimay? L.V. Chimay was first imported to the U.S. in 1983 and I carried it at my bar. I also sold the beer when I was a brand manager for the Celis Brewery. When I began working in the import business in 1999, our biggest brand was Chimay. Then, in 2005, the export manager for Chimay took over the company and we became the sole importer for Chimay in the whole country. That’s when I became the ambassador, which basically means that I’m the face of Chimay in America. I travel the country, visiting top Chimay accounts, promoting the brand. D.L. Let’s talk about Belgium’s finest Trappist beer. Why is it called Chimay? L.V. The town of Chimay is a couple of miles from the brewery. There is a big castle there and a prince – the Prince of Chimay. In 1850, he donated a plot of land for the construction of the Scourmont Abbey. In 1862, when the monks started brewing, they called the beer Chimay. The beer has been brewed in the same place for 156 years. D.L. What is the difference between an Abbey beer and a Trappist beer? L.V. Abbey beers are made by commercial brewers who use an image of a monastery or a monk to promote the beer. Trappist beers must be brewed within the walls of a monastery, either by a monk or under their supervision and images of monks cannot be used to promote the beer. Any profits made must be used for charitable works. The Chimay monks give away 90% of their proceeds to people in need. D.L. Why do Trappist Monks make beer? L.V. The short answer is, to make a living. Before they started brewing, the monks of Scourmont were farmers. In Belgium, there aren’t a lot of grapes, but there’s a lot of grain. It was hard labor, and during lent, which is 40 days of fasting, they were running out of energy and becoming dehydrated. They knew beer had essential vitamins and nutrients – hence the term “liquid bread”. D.L. 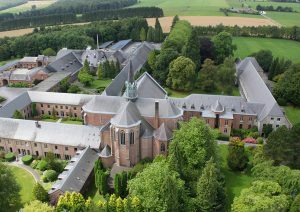 How many Trappist monasteries still exist? L.V. There are only 11 in the world today. Six in Belgium, two in the Netherlands, one in Austria, one in the U.S., just outside of Boston and one in Rome. Only those 11 can call their beer Trappist. D.L. There are four Chimay beers sold in the U.S. What makes one stand apart from another? L.V. Chimay Red, also called Première is the original, first brewed in 1862. In French, Première means the first one. It’s copper in color, with a sweet, fruity taste. The Blue or Grand Réserve was called Special Noel up until 1982. It was first brewed in 1956 as a Christmas beer, which always sold out around the holidays. So the monks, wanting to give more money to charity, decided to change the name and brew it year-round. Blue is higher in alcohol, maltier and more complex than Red. White or Cinq Cents is a triple, first brewed in 1966. 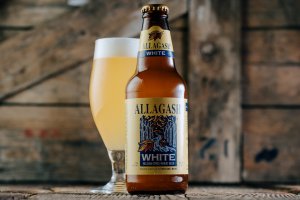 The white label confused some Americans because they assumed it was a white ale, but it obviously doesn’t taste like one, so the word triple was added to the label. Cinq Cents means 500 in French. It was named that because when the Prince of Chimay was awarded his title, the actual title was 500 years old. A big party was thrown, where they honored the Prince with this beer, and called it Cinq Cents. Dorée, the French word for gold, was named for the gold capsule on the bottle. This foil cap was used to distinguish the beer because it was brewed for the monks’ own consumption. Dorée wasn’t released for sale until 2013. The recipe is based on the triple with less alcohol. It’s only 4.8%. And it’s brewed with coriander and orange peel. It’s a great beer, very easy drinking. D.L. 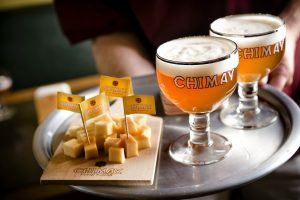 What makes Chimay so special? L.V. The motto of the monks of Scourmont is: we buy the best ingredients and use the most up-to-date equipment to brew the best beer to our knowledge. In Belgium especially, Trappist beers are considered the top beers of the land because the monks don’t cut any corners. 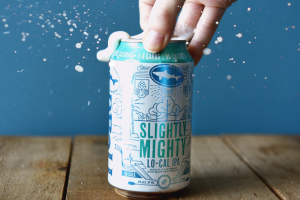 They use the best ingredients and the best technology to make their beer. And in the case of Chimay, they have their own water wells. If you ask the monks what the secret to their recipes are, they say two things: the water and the yeast. All the grains used to make the beer come from the region of Chimay. The monks are very specific about the pesticides that the farmers cannot use, so it becomes pricey, but the monks will pay whatever they have to, to get the best quality. They like to keep the money in the region. D.L. The monk’s have a special place in their hearts for American soldiers. Tell us why. L.V. After World War II, and up until about 10 years ago, the monks purchased Cascade hops from America. The reason being, they wanted to thank American soldiers, who died in the war liberating Belgian monasteries. When the brewing industry in the U.S. exploded in popularity, the price of hops rose significantly, so the monks had no choice but to purchase their hops from Germany, which they still do today. D.L. 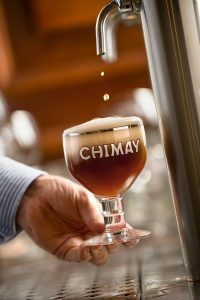 How much Chimay do the monks drink in a day? L.V. They drank a lot more in the late 1800s, when they did so to get through the Lenten fast and arduous farming duties. Now, many of the monks are older, so they drink less, and that’s one of the reasons they brewed Dorée – it’s a lot lower in alcohol, so it’s easier to consume. D.L. How many monks are a part of the Scourmont Abbey and what does a typical day look like for a monk? L.V. At this point, there are about a dozen monks at the Abbey. They don’t like to mix the very old monks with young ones because the older monks are quite set in their ways. It is a very austere lifestyle. 365 days a year they get up at 3:30 AM and attend seven church services a day. They pretty much pray 7 hours a day, work 7 hours a day and sleep the rest. They each have a tiny cell, which includes a bed, a sink and a small desk… that’s it. D.L. Is the Abbey a big part of the community? L.V. Yes. It’s the biggest employer in the region of Chimay. They support schools and organizations and they loan money to entrepreneurs who want to open businesses, but are turned down by the bank for a loan. D.L. What is the Chimay-Wartoise Foundation? L.V. It’s a public service foundation that was created in 1996, funded by Scourmont Abbey’s monastic community. It’s run by laypeople whose job is to give the monks’ money away to assist charitable causes. D.L. 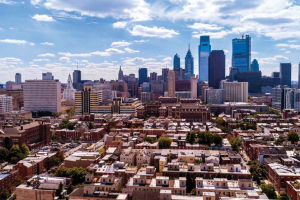 Why is Philadelphia important to Chimay? L.V. When Chimay was first sold in the U.S., Texas was the first state to carry it, then Chicago and I think Philly next. Ed Friedland of Friedland Beverage owned the rights for the whole state of PA until 2006 when he sold his business to Kunda, who then sold to Origlio. Being such a great beer city, Philly really embraced Belgian beer early on. I think Tom Peters of Monk’s Cafe may have had something to do with that. In the mid-‘80s, there were pretty much only two specialty Belgian beers available in the U.S. – Duvel and Chimay. Philly really seemed to embrace both. Today you can purchase Chimay in all 50 states. D.L. The monks were hesitant to put their beer in draught. Why is that? L.V. Back in the late ‘80s and early ‘90s bars only had 4-5 beers on tap, but when specialty beers began to grow, the draught selection at bars also grew. The monks were concerned about the quality of their beer if it were put on draught. They worried that lines weren’t being cleaned properly and that their beer would not taste right. They finally decided to put Triple in draught in 2001. At that time, it was only 13% of their sales, so if it didn’t work, it wouldn’t be too much of a setback. Triple did extremely well on draught, so Première and Grand Réserve became available in draught in 2011, followed by Dorée a few years later. D.L. How much Chimay is sold worldwide? And how many cases are imported into the States every year? L.V. Worldwide we only sell 2.5 million cases of Chimay a year, so we’re still a craft brewery. In the U.S., it’s between 300,000 and 350,000 cases annually. D.L. Why should younger drinkers try Chimay if they haven’t already? L.V. I think the younger generation is interested in doing good things in the world and they appreciate those who do things for others. I also think quality ingredients and quality in general is important to younger people, as well as organic farming and a concern for the environment, and that is what Chimay is all about. Basically, if you drink a Chimay, you do a good deed. D.L. Have you made any Chimay converts? L.V. At trade shows, some people say to me, “I don’t drink beer.” I ask those folks to try a sample of Première, and they are happy to see it’s sparkling like champagne. Being fermented in the bottle, our beers are never pasteurized, so they’re very lively. Première tastes almost like wine and with the introduction, I’m able to change some people’s opinions. D.L. Do you have a favorite Chimay and food pairing? L.V. I like Chimay Triple with oysters. But the Red is great with stew or rabbit, which Belgians often eat. The Blue, for me, is great with game, with a rich sauce – it’s wonderful with robust meals. It also goes very well with chocolate desserts. D.L. Belgians often cook with beer. How can Americans explore their cuisine? L.V. 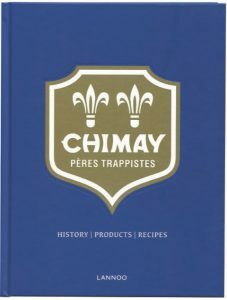 There is a great cookbook called Chimay: Pères Trappistes, written by Stefaan Daeninck and Bart Van Leuven, which includes some amazing recipes, each made with Chimay beer or cheese. Daeninck says in the book that Red is the perfect beer to cook with and the ideal complement to mild ingredients and light dishes. D.L. Speaking of Chimay cheeses, can you tell us about them? L.V. The gourmet, washed-rind cheeses are also created under the supervision of the monks and they pair perfectly with a number of libations, especially their own authentic, Trappist ales. 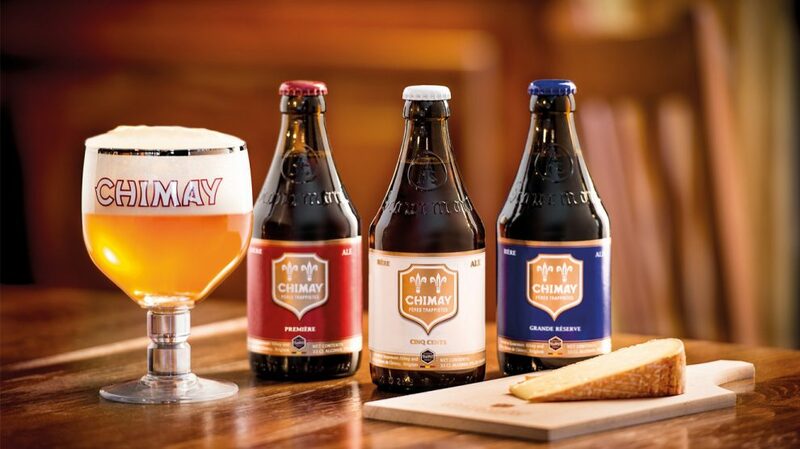 The five core varieties range from the sharp and creamy Vieux Chimay to À la Chimay Première, a semi-firm, pungent, buttery beer-washed wheel and the mild, creamy Grand Chimay to the intense Chimay Grand Cru. These cheeses are also recognized as Trappist products, made with the finest ingredients and local products to ensure quality. D.L. Other than Chimay, what is your favorite beer? L.V. My favorite beer of all time is Orval with Duvel being a close second.